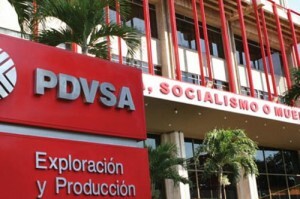 HOUSTON - The U.S. Justice Department charged several former Venezuelan officials with participating in a money-laundering scheme at state oil company Petroleos de Venezuela SA. The five include Nervis Villalobos, the country’s former deputy energy minister, and Luis De Leon, a dual citizen of Venezuela and the U.S. who is a former financial director of a PDVSA affiliate, according to an indictment from August that was unsealed Monday. De Leon and Villalobos are also each charged with one count of conspiracy to violate the Foreign Corrupt Practices Act. The charges are part of the Justice Department’s wide-ranging investigation of allegations of corruption in Venezuela. The scheme began amid the nation’s boom years under socialist President Hugo Chavez and continued after his death in 2013, when Nicolas Maduro took over. Four of the defendants, De Leon, 41, Villalobos, 50, Cesar Rincon, 50, and Rafael Ernesto Reiter, 39, were arrested in Spain in October 2017 on warrants based on the 20-count indictment filed in Houston on Aug. 23. Cesar Rincon was extradited from Spain on Feb. 9, and made his initial appearance Monday before U.S. Magistrate Judge Stephen Smith. De Leon, Villalobos and Reiter remain in Spanish custody pending extradition. A fifth defendant, Alejandro Isturiz, 33, remains at large.